Rick's Pocono Blog: Come to Skytop Lodge in the Poconos! Skytop is a Town in the Beautiful Pocono Mountains, but more specifcally Barrett Township, Monroe County just North of MountainHome. This Town Boasts a Spectacular Resort Known as The Skytop Lodge! They have a Blend of Pocono Mountain Outdoor Fun inside their Beautiful Lodge. It is a nice Getaway To experience Outdoor Fun and Luxurious Living. 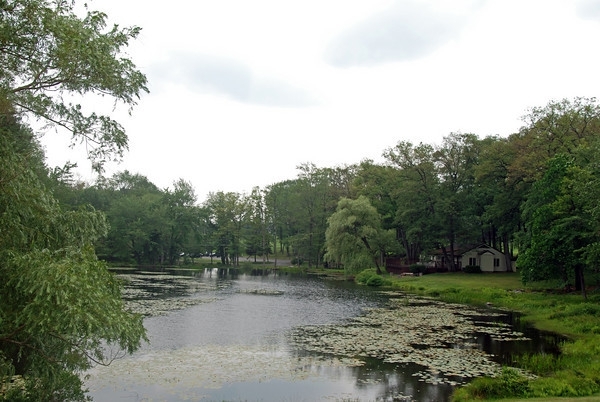 The Skytop Lodge Includes Pocono Biking, Swimming, Hiking, Canoeing, Rock Climbing, Lawn Bowling, Kayaking, Shooting, Fishing, Golf, and so much more. The Opportunities at Skytop Will leave you Breathless and not knowing where to begin! Rock Climbing Features a 30 Foot Wall with a real rock look and feel. There are eight different stations and over 300 Moveable Handholds. All Equipment and Training is Available to Make it a Real Rock Climbing Experience! Kayaking at Skytop offers its Residents to learn the Basics of Kayaking on Skytop Lake Including Safety, Boat Design, Basic Strokes, Turning, Bracing, and the art of Wet Exit. Treetop Adevnture At Skytop!- Skytop Lodge Proudly Boasts its Treetop Adventure Center. Set in the Breathtaking Pocono Mountains on The Lodge's 5,500 Acre Estate. The Course is Securely Stable in between Trees 10 to 50 Feet off the ground. Some Awesome Adventure Features include Tyrolean Zip lines, Suspended Bridges, Slides, Swings, Nets, and even an Aeriel Surf Board! There is much more to The Lodge including PaintBall, Wilderness Skills, Mountain Biking, Hikings, Fishing, and the list goes on! Pocono Resorts are a HUGE Part of What makes the Poconos Special! Give a Call to any Agent at Pocono Mountain Lakes Realty to find out any information in The Skytop Lodge or any Pocono Mountain Feature. We are Pocono Mountain Experts!